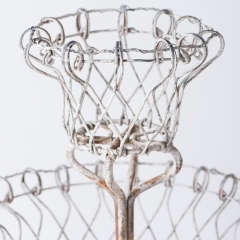 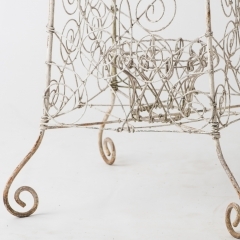 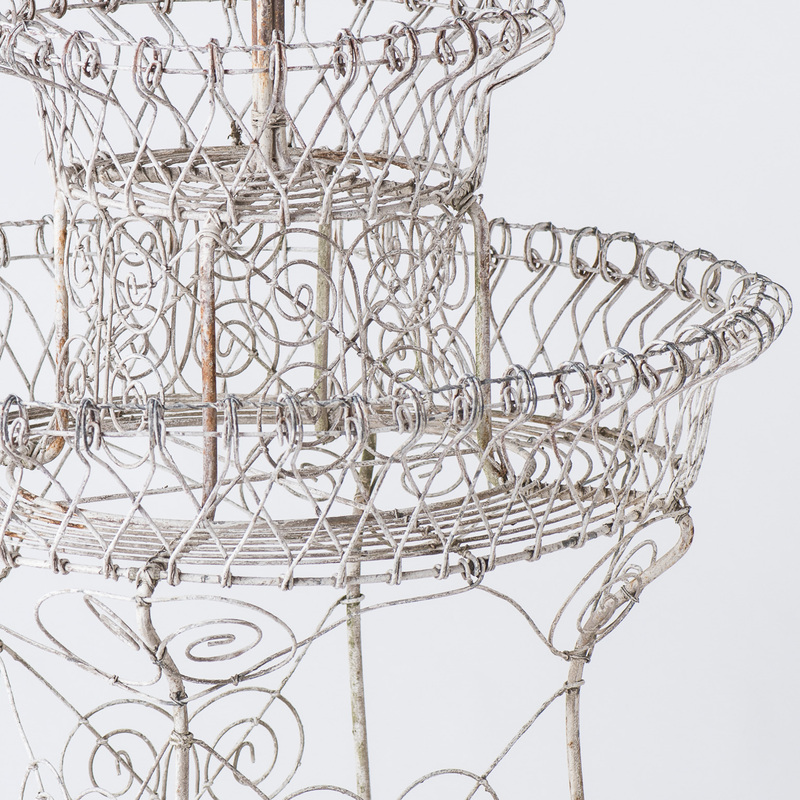 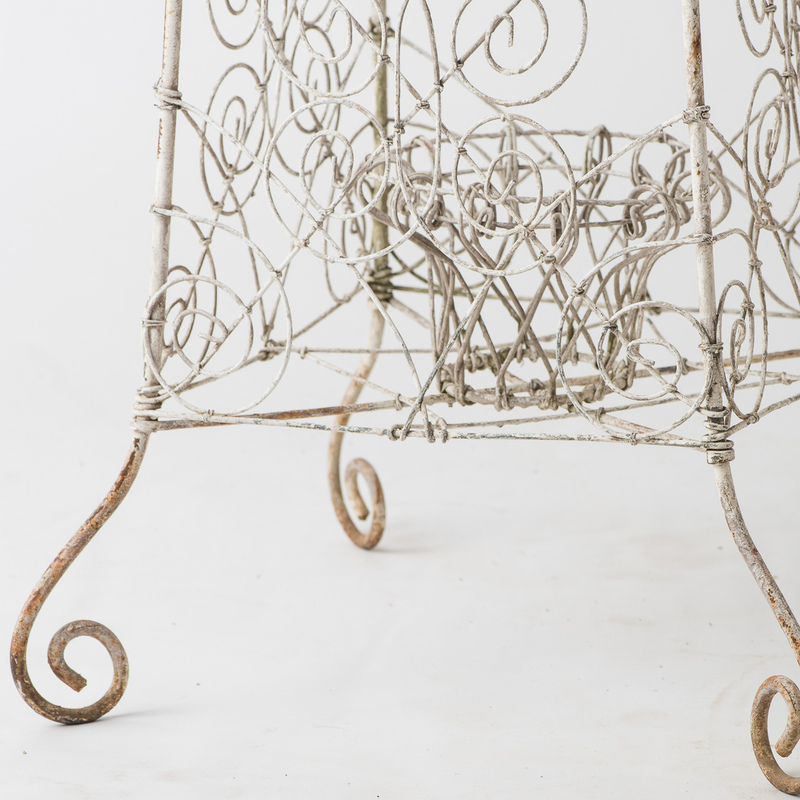 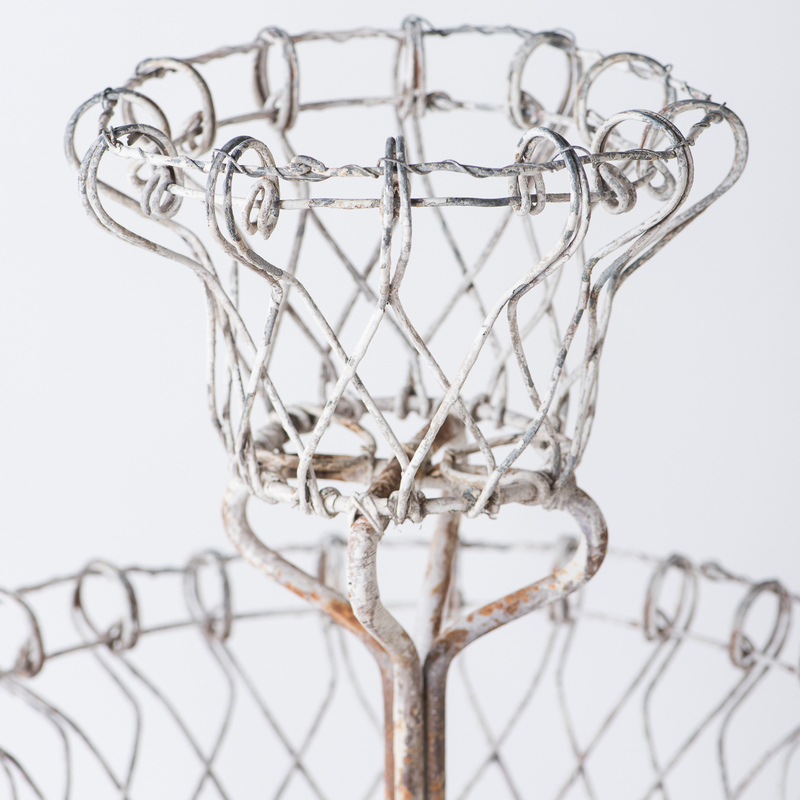 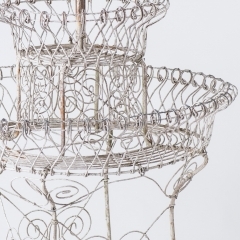 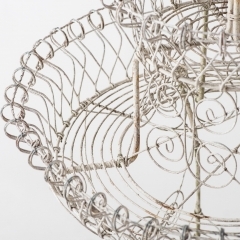 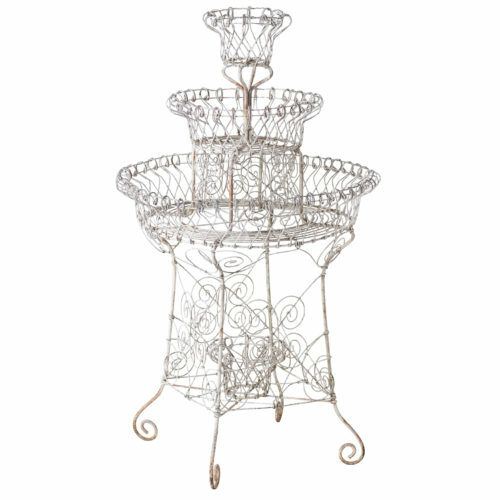 This three-tier plant stand was made by drawing wires into a frame with several levels of interwoven strands that were then decorated with loops and whimsical shapes. 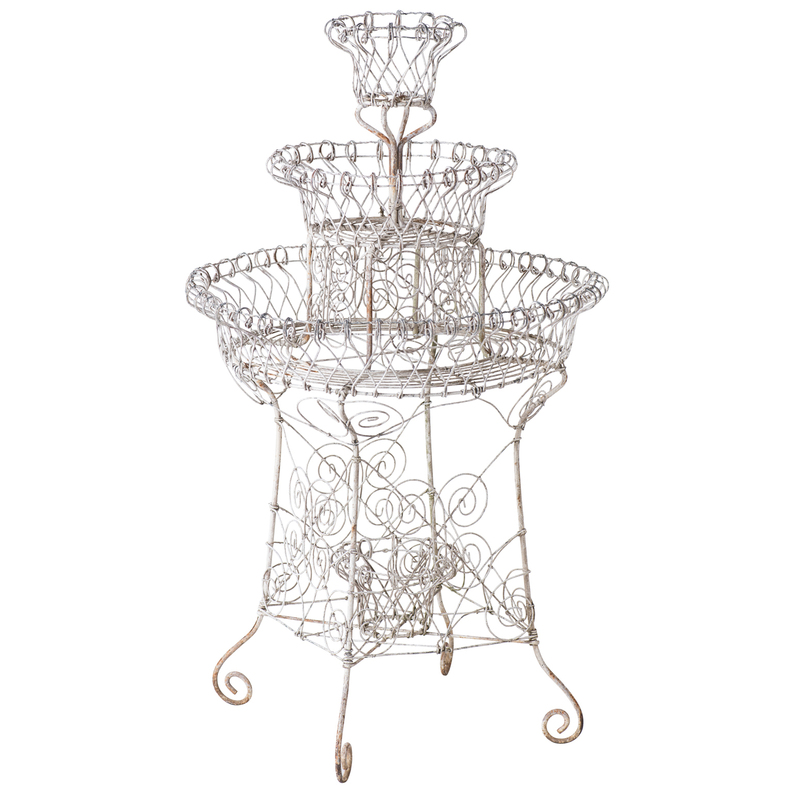 It has three levels plus a small basket in the base for an extra plant, affording enough room for a grand display. 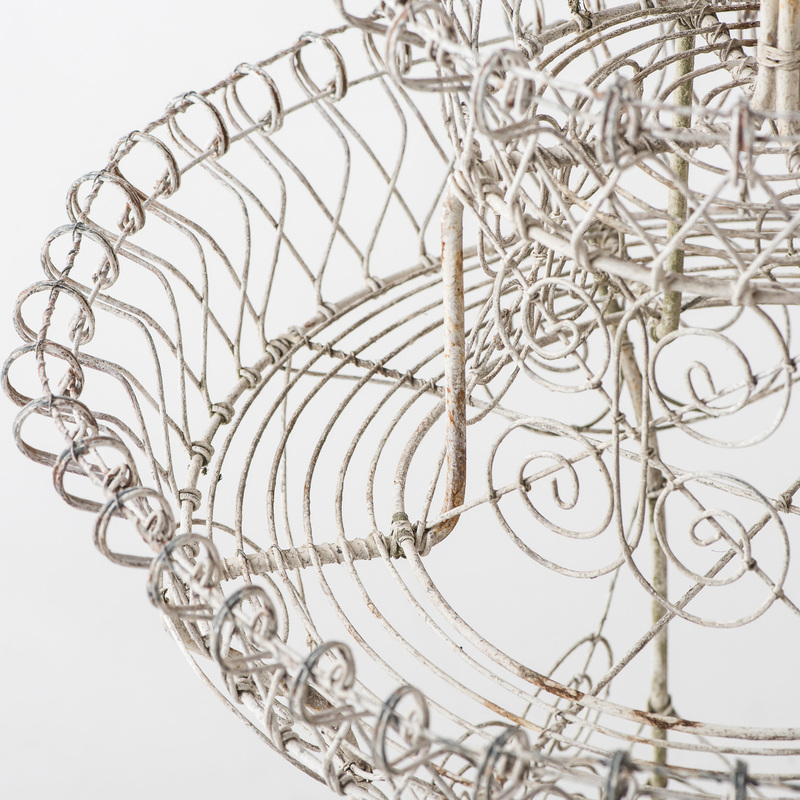 It is in great condition with all wires intact.